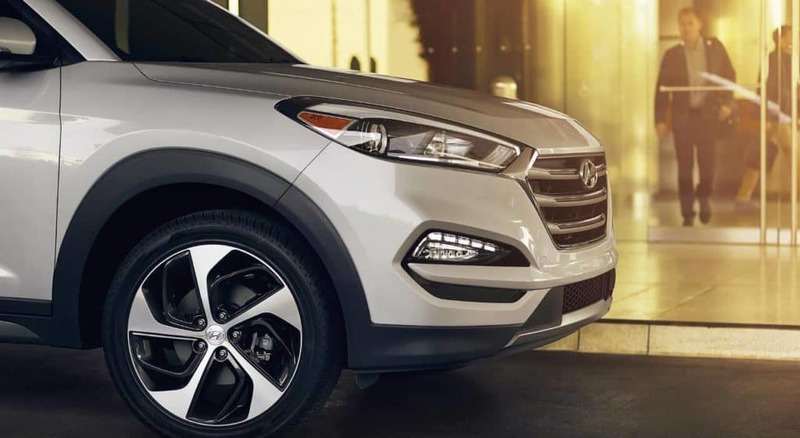 The Hyundai Tucson MPG is sure to dazzle eco-conscious drivers around Laurel, as the 2018 Tucson offers an impressive 25 mpg city and 30 mpg on the highway. Those figures are higher than you would expect from a crossover that is still strong and capable. Explore what the Tucson can do, and learn more about the technology and performance. Be sure to consider the Hyundai Santa Fe as well. The most efficient engine available for the 2018 Hyundai Tucson is a turbocharged 1.6L four-cylinder that also puts out 175 hp and 195 lb-ft of torque. Drivers have the option to equip all-wheel drive and take advantage of a seven-speed dual-clutch transmission that improves efficiency and dynamism at the same time. The standard engine is a 2.4L four-cylinder that delivers 164 hp and 151 lb-ft of torque while being rated at 23 mpg city and 30 mpg highway. The Hyundai Tucson MPG isn’t the only reason you won’t want to miss this handsome, modern SUV! Check out the Tuscon inventory available at Underriner Hyundai in Billings, and see what a difference the Tucson makes compared to other competitors, like the Kia Sorento!